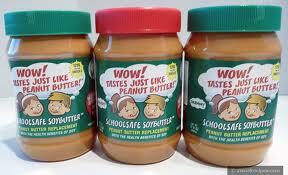 Smart Allergy Friendly Education: WOWBUTTER - This Gluten-Free, Nut-Free peanut butter alternative is delicious! WOWBUTTER - This Gluten-Free, Nut-Free peanut butter alternative is delicious! I heard about a new soybutter through several different channels. I HAD to try it out and see if it was as tasty as people were saying. Well, this gluten-free, egg-free, dairy-free, nut-free peanut replacement soy spread is well worth finding locally! the entire production is completed in one manufacturing facility that is 100% Peanut Free, Tree Nut Free, Gluten Free, Egg Free and Dairy Free! Read our allergen declarations. We start with raw non-GMO soybeans directly from local fields and complete the entire process right to the finished product filled into a jar, ready for your enjoyment. Read our Peanut and Nut Free Policy. WOWBUTTER, SAFE-FOR-SCHOOL PEANUT BUTTER REPLACEMENT TOASTED SOY SPREAD, distributed by Hilton Whole Grain Millers, Ltd., O/H Hilton Soy Foods, Staffa, Ontario, Canada. Ingredients include: TOASTED SOY, SOY OIL, CANE SUGAR, MONO-GLYCERIDE, SEA SALT. Their website if full of great information such as: Where to Buy, Fund Raising Opportunities, Testimonials and documents on how to help your school become PEANUT-FREE! You can find pre-written letters for schools and posters to help guide your school in this direction. 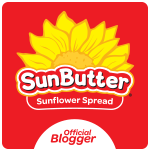 You can find WOWBUTTER at nationwide chains such as WinnDixie, WalMart and Whole Foods. To our Canadian friends who seem to handle managing peanut-allergies in their schools much better than we do, we have A LOT to learn! It's amazing to see one company making so much effort to better educate their community, schools and country. Thanks for all of your efforts, WOWBUTTER! Thank you for the samples. We have one set of friends whose nut-allergic child had NEVER tried any peanut-butter alternatives. He was even hesitant to try what we offered him. Once he got the okay from his mom, he LOVED this stuff! He took the samples to his room and said they were ALL his! 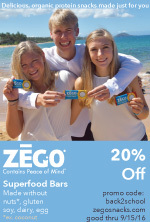 My family loves the nutty taste of this product and we think you will too!